​HOUSTON – George Bush Intercontinental Airport (IAH) and Conroe-North Houston Regional Airport will receive millions from the Federal Aviation Administration. IAH will receive $24 million to repair and widen one of its main taxiways to accommodate larger aircraft. Conroe-North Houston Regional Airport will receive $5 million to extend Taxiway G.
However, the biggest recipient in Texas—and nationwide—is Dallas-Fort Worth International Airport (DFW). 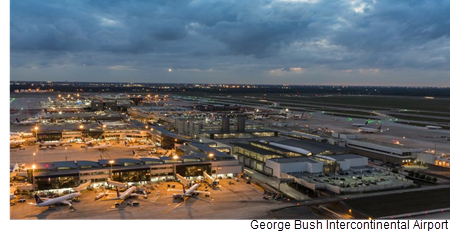 DFW is receiving nearly $52.2 million that will go toward upgrading the terminal aircraft parking apron lighting to improve energy efficiency and repairing Runway 17C/35C, the primary runway at the airport.